A big day at our work property. The bull is limping and the we organised the vet to attend but in addition a truck load of the bought silage is arriving. Both of us end up going to work. If I need to unload the truck I can't help the vet. The silage arrives early and the good news is that the driver grew up on a dairy farm and has been driving tractors since birth and in addition he helped load the truck using the vendors tractor. This is a big endorsement. All I needed to do was show him where it was to be stacked and discuss what layout pattern and left him to it. He also had an offsider (his father). Then the vet arrived and we worked on the bull. A tender patch between the cloves of the hoof and a bit of a growth. A good clean some padding, a bandage and some antibiotics. Scotty is very patient but then we did put a big pile of Lucerne in front of him. And he is only interested in two things, one of them being food. Time to see if our first cut silage from a couple of months ago is any good. The girls love it and I have trouble getting from the gate to the feeder because they crowd me in trying feed off the open bale. That's what I like about hydraulic bale handlers. You can unwrap completely before you pick up and drop into the feeder. The stacked bales of silage that were made on Friday continued to collapse on Sunday and the contractor attended and put them all on ground level. Unfortunately, the silage patching tape had run out and there were a few holes to fix. A quick trip to the produce merchant solved that issue. While mucking around with the bales I sliced the base of some that had water almost 300 mm up the bale, let them drain and resealed with tape. Not sure that will make any difference but worth a try. You can have quality OR quantity. We make Kikuyu silage and if the grass gets too high runners form and you are baling woody material. If the cattle eat it they use more energy than it provides. Always remember if it costs $50/bale to make and you can sell mulch for $30/bale there is a problem. Too wet or too dry. Neither is worth the effort. Too wet and it rots, goes black and doesn't even make good mulch. Bales under about 38 per cent DM may undergo clostridial or enterobacterial fermentation. This is due to the high moisture content and slower rate of fermentation. A paddock test for moisture is grab a handful and twist. When twisting hard there should be almost no moisture coming out. If it drips liquid it is too moist. The other method is to weigh a few handfuls and put it through a microwave until completely dry and weigh again the difference will help calculate the moisture content. Wrapping the standard number of wraps is fine but if you are going to store it longer double the number of wraps. Extra layers are good if transporting. As a general rule silage in bales keeps for two years. Many farmers try to use it in less time than that. One of the problems with plastic wrapping is it breaks down over time and is susceptible to rodent and other damage. 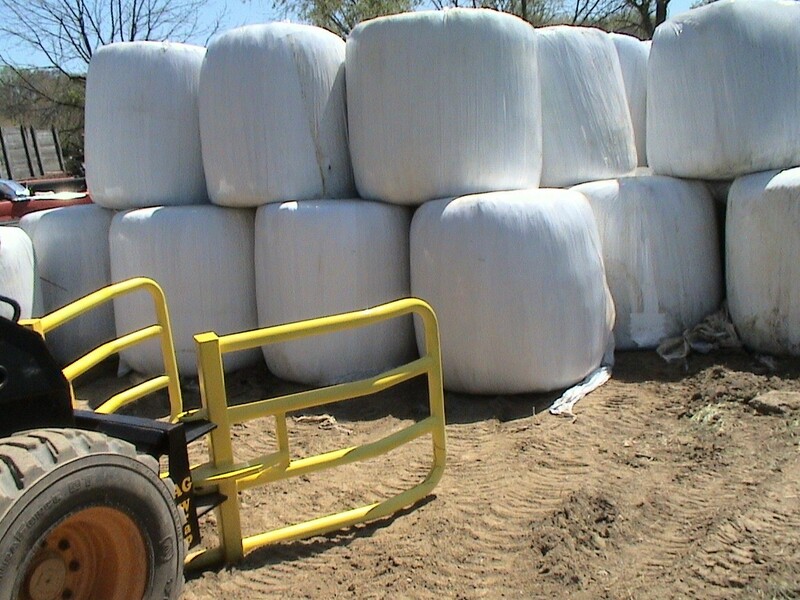 Inspect bales regularly and apply patches to any holes. Use the special patching tape that is the same colour as the bale wrap. An alternative to silage is round hay bales. Round hay bales keep longer but ideally need to be stored under cover.